I feel like every brand that I enjoy or that I've been dying to try has a product or two that is 100% on my radar and that I want to get my hands on. 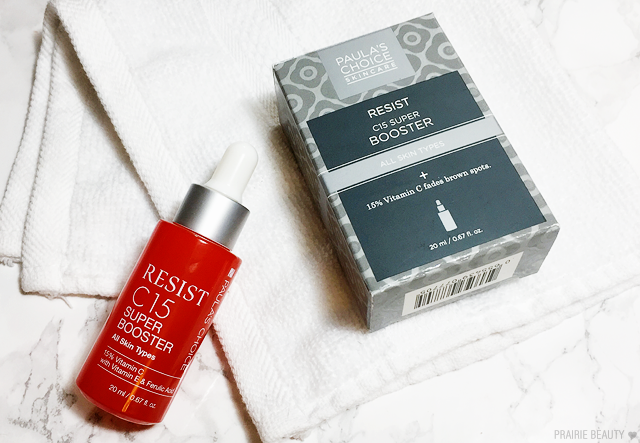 When it comes to Paula's Choice, admittedly there are a few of those, but for quite some time now one of those products has been the RESIST C15 Super Booster*, which I've heard really great things about. 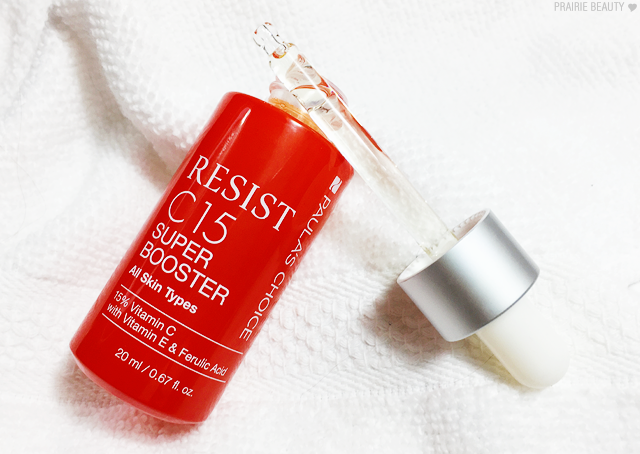 In the past year, I've started using Vitamin C every day as a part of my skin care routine, and it was completely ridiculous that I'd never tried this. 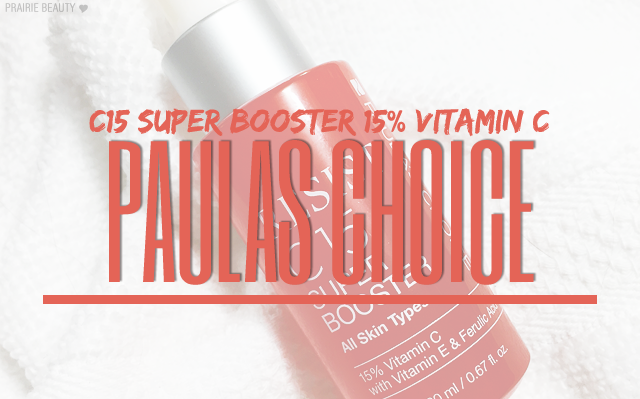 First, let's talk about the packaging, because that is one gripe that I have with this product - and a bit of a surprise coming from Paula's Choice. Vitamin C is a really delicate ingredient and it oxidizes quickly when it encounters air or light, decreasing the efficacy of the product, so a dropper bottle isn't the most ideal packaging. Now I suspect that they chose a dropper style packaging because of the formula, which is quite thin and liquidy and could end up being one of those products that shoots out almost violently when used with an airless pump. Based on that, I get it to some degree, but I still would have preferred a pump packaging - and I feel like Paula Begoun would agree, which is strange to me. In the month I've been using it, I've yet to see any change in the colour of the product to indicate oxidization, but I am keeping an eye on it. I've been using this consistently for about a month now almost every morning immediately after my toner step and before any serums and moisturizers that I use. I like to use Vitamin C in the morning because it can help improve the efficacy of my SPF, but also because I use a lot of other actives as a part of my nighttime routine and I don't want to overload my skin so I like that I can use my Vitamin C during the day. I also think that because this is quite lightweight and absorbs quickly, so it's great for us makeup wearers. I also find that the tingle in this product is fairly minimal (no stinging), so I don't worry too much about following with the rest of my morning beauty routine soon after applying it. Now let's talk about results, shall we? 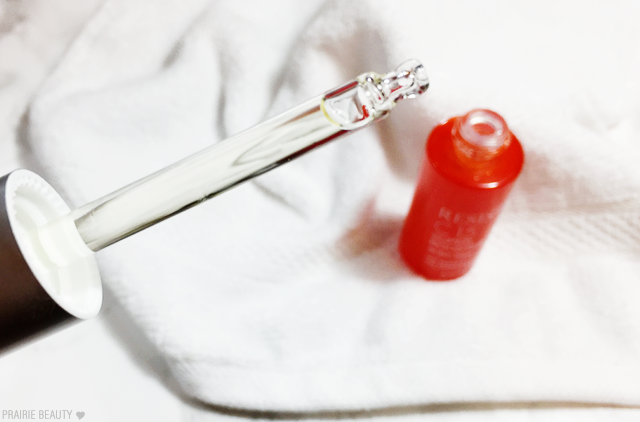 On my fair skin, I feel like dullness can really be an issue for me, and this product has definitely been helping to brighten the overall look of my skin - which I love. While I don't think that this is a product that's going to give overnight results, I've definitely noticed that over time I've been seeing a brightening effect as well as some lightening of hyperpigmentation from old breakouts. While I do think this is a great option for someone like me, who has been using Vitamin C for quite some time, this is actually a really phenomenal option for someone who is just getting into Vitamin C. It's more gentle than a lot of Vitamin C products that I've tried out but it's still quite effective and packs a good punch of Vitamin C. In general, I think this is a really great product - I just wish that it came in different packaging! 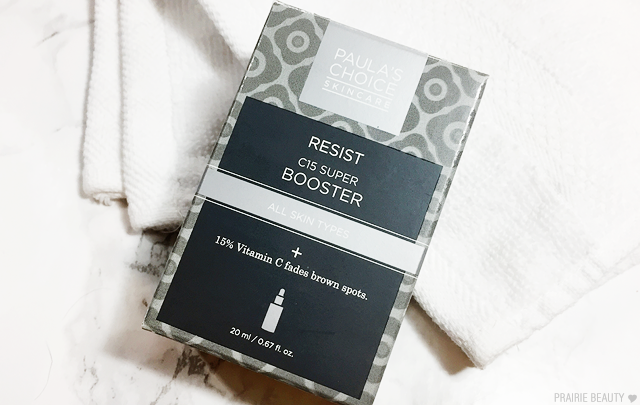 The Paula's Choice RESIST C15 Super Booster* is available on their website. If you're a first time Paula's Choice customer, click this link to receive $10 Off a minimum $15 purchase.